Start Trading over 350+ pairs and Fiat on Binance! The newly launched gateway identified as the Binance Lite Australia is designed to function as cash to bitcoin brokage service which will only be accessible via a network of 1,300-plus supported newsagents across the country. 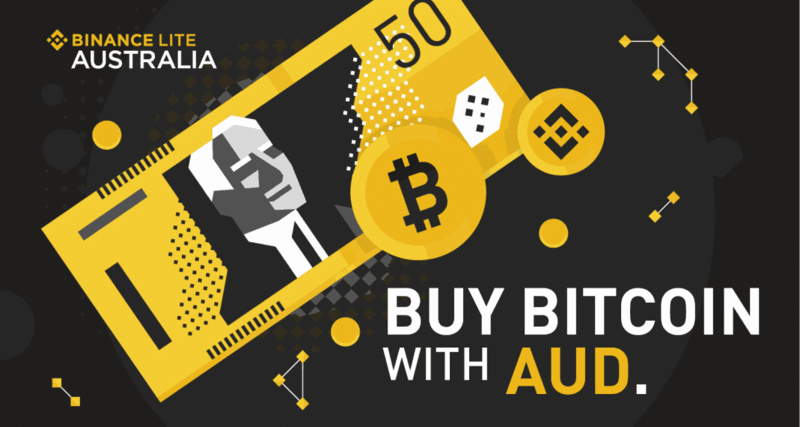 Initially, users of the platform will only be able to make payment for bitcoin purchase using the countrys nationally currency, the AUD. As time goes on, more crypto and fiat options will be available for users of the network. According to the announcement from Binance, anyone interested in using the network will have to verify his or her identity. Once the verification process is concluded, such user will be able to place an order to buy BTC online, then proceed to cash deposit at the nearest newsagent. Once the deposit is confirmed, such user will receive crypto with few minutes. It was also reported that a transaction fee of five percent in addition to goods and services tax (GST) on all bitcoin will be charged by the exchange. Speaking on the launch of the new platform, the Binance CFO Wei Zhou stated that the newly launched platform further expands cryptocurrency adoption by providing easier ways to buy bitcoin. He also revealed that the Binance has plans to add more fiat-to-cryptocurrency gateways globally. The launch of the Binance Lite Australia gateway is coming some weeks after the global crypto exchange launched a fiat-to-crypto exchange on the island of Jersey—Binance Jersey. Through the platform, traders in Europe and the United Kingdom can easily trade bitcoin and ethereum against the euro and the British pound.